Did you try to latch the microwave, but it won’t shut? Did you try to turn it on, but it won’t heat up? 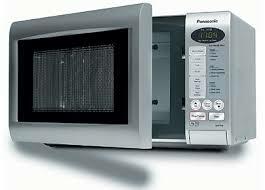 When you need microwave repair in Vaughan, Ontario, contact our local company. As kitchen appliance experts and proficient repair techs, we can fix your microwave oven in timely fashion. Rely on Appliance Repair Vaughan should you need same day service and the best quality spares. Not only do we bring a plethora of microwave repair parts with us, but also make sure they are the perfect fit for your microwave oven. There is no doubt about the quality of our supplies. Our company only invests in the best there is in the marketplace. As for our pros, they are all qualified, licensed, updated, and experienced technicians and skilled to find what causes the microwave to act up and repair it. We provide local microwave service as fast as possible and cover the needs of all residents in Vaughan. Our rates are reasonable and the work we do is excellent. Trust us to examine the problems of your small appliance and take good care of it. Call us if you need experts to cover your Vaughan microwave repair requests quickly and with integrity.